The impact of Euro-sceptic parties is complex, observes Nicolai von Ondarza. Their impact on the legislative process in the European Parliament and Council has been minimal, but the recent crumbling of the European consensus is limiting the ability of national governments to compromise at the regional level. Following a string of crises that have eroded trust in the European Union, Euro-Skeptic parties achieved major gains in the 2014 European elections, and have expanded their share of the vote in almost all regional and national elections held since. Seven national governments now either include or are tolerated by Euro-Skeptic parties. In practice, however, their impact on the legislative process in the European Parliament and the Council has been minimal. But the crumbling of the European consensus limits the room for national governments to find compromises at the EU level, above all in relation to the Union’s major challenges. The EU therefore needs to secure its future on the basis of its existing level of integration. Skepticism towards European integration is by no means a new phenomenon. As early as in the 1980s parties like the French Front National won seats in the European Parliament (EP). But in recent years support for Euro-Skeptic parties has expanded consider-ably across Europe. Euro-Skepticism, defined as rejection of existing and/or further EU integration, exists across the entire party-political spectrum. The boundaries are often fluid in practice, resulting in often subjective criteria to classify parties as Euro-Skeptic. The clearest approach is to use their membership of the political groups in the EP. There are currently four Euro-Skeptic groups in the EP: The “moderate” Euro-Skeptics of the European Conservatives and Reformists Group (ECR) are led by the British Conservative Party and the Polish Law and Justice Party (PiS). Both demand that powers be returned to the national level, but (largely) support remaining in the Union. Several members of the ECR belong to the political main-stream in their home country. But in 2014 the ECR also accepted parties that had hitherto been regarded as right-wing populist, such as the Danish People’s Party. The Alternative for Germany (AfD) was part of the ECR until April 2016, when one of its two remaining MEPs was expelled from the group and the other left on her own accord following controversial remarks on refugee policy. Populist parties with strong anti-EU convictions form the second category. In the European Parliament they are organised in the Europe of Freedom and Direct Democracy Group (EFDD). They include the UK Independence Party (UKIP) and the Italian Five-Star Movement (M5S), and are characterised by criticism of both national and European political elites, which they regard as having lost touch with ordinary citizens. One of the two remaining AfD MEPs also joined the EFDD in April 2016. The third Euro-Skeptic group is the Europe of Nations and Freedom (ENF), which only formed in the course of the current legislative period under the leadership of the French Front National. Its members – which include the Freedom Party of Austria (FPÖ) and the Dutch Party for Freedom (PVV) – are considerably more nationalist in their attitudes than the first two groups. For them, anti-migration policies generally play a greater role than Euro-Skepticism, although in the refugee crisis they have increasingly been linking the two issues. Finally, there are openly extreme right-wing parties like the German National-demokratische Partei Deutschland (NPD) and the Greek Golden Dawn. Although they have to date been unable to find enough allies to form a group of their own in the European Parliament, they have organised themselves at the European level in the so-called Alliance for Peace and Freedom. As well as these four right-leaning groups, there are also populist parties at the left end of the political spectrum, such as the Greek Syriza. Although they tend to call for new economic policies in the EU/Eurozone, they do not fundamentally reject the Union. While these parties present their own distinct challenges to the EU, they are not the subject of the present analysis. Additionally, ostensibly pro-Euro-pean mainstream groups also contain par-ties that adopt Euro-Skeptic positions in the national discourse, such as the Hungarian Fidesz which is part of the centre-right European People’s Party (EPP). Despite the broad spectrum they cover, Euro-Skeptic parties long lacked the electoral support required to give them power options of their own. That is changing rapidly now, given their recent growth at the European and national levels. 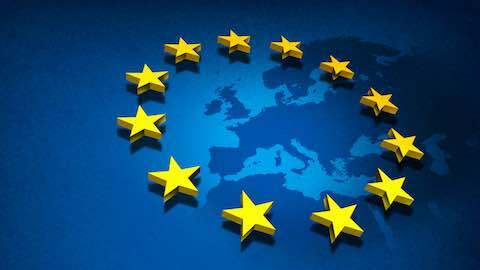 What are the consequences for the EU? For parties outside the political mainstream, European elections traditionally offer good opportunities, as they suffer low turnout and are still widely viewed as second order elections by voters. During the European elections in May 2014, moreover, the general mood of crisis allowed Euro-Skeptic parties to record significant successes. Although their share of the vote did not increase everywhere, they gained support in many member states and came first in the United Kingdom (UKIP), France (Front National) and Denmark (Danish People’s Party). Overall, Euro-Skeptic parties increased their representation from 121 seats (15.8 percent) to 174 (23.2 percent), and thus now represent almost one quarter of all MEPs. The growth was shared relatively equally by the more moderate ECR (from 57 to 75 seats) and the more fundamentalist EFDD (from 31 to 46), while the ENF (38 seats) only reached the requirements to form a group (25 MEPs from at least seven member-states) in mid-2015 after persuading a number of members to switch their allegiance. Almost two years after the European elections the influence of Euro-Skeptic parties on legislation in the European Parliament remains minimal. Three expectations have been confirmed. Firstly, the Euro-Skeptics continue to be deeply divided, as reflected in their distribution among three different groups plus the non-aligned. The more radical Euro-Skeptics of the EFDD and ENF in particular were unable to agree on collaboration. In fact, they actively fought over the support of individual MEPs, with the EFDD group collapsing briefly after a member switched to the ENF in October 2014. It was only able to reconstitute after a Polish right-wing nationalist decided to join. At the same time, the parliamentary groups of fundamentalist Euro-Skeptics represent no more than alliances of convenience to secure group status. This is clearly reflected in their voting behaviour. The four mainstream groups in the European Parliament have each achieved cohesion exceeding 90 percent during the current legislative period. While the moderate Euro-Skeptics of the ECR manage almost 80 percent, the EFDD only records 49 percent. Although the ENF scores 68 percent, this is largely due to the dominance of the Front National, which supplies 20 of its 38 MEPs (all data on European Parliament voting from Vote Watch Europe). Secondly, the Euro-Skeptic parties are largely excluded from coalition-building. Unlike in most national parliaments, the European Parliament does not (yet) have a government/opposition system; instead a separate majority must be found for each piece of legislation. This generally forms around a grand coalition of the EPP, the Socialists and Democrats (S&D) and the liberals (ALDE). During the current legislative period each of these groups has been on the winning side in at least 87 percent of votes in the European Parliament. The EFDD and ENF, on the other hand, are set on fundamental opposition and found themselves voting with the majority in only 30 percent of cases, mostly affecting general issues. The behaviour of the moderate Euro-Skeptics of the ECR varies. On institutional matters they generally vote against further integration, but there is also common ground with the centre-right parties of the EPP, for example on economic policy and justice and home affairs. Altogether they voted with the majority 58 percent of the time. Thirdly, the Euro-Skeptics participate only marginally in the parliamentary work, or are actively excluded by the mainstream parties. The most important legislative work in the European Parliament is done by the rapporteurs, who are appointed to prepare a report on a specific legislative proposal. They can potentially exert considerable influence on EU legislation, because they prepare the first drafts and conduct the negotiations with the Council and the Com-mission. Leaving aside one Polish PiS MEP who has already prepared fifty reports – making him by far the most prolific in the entire Parliament – the 174 MEPs from the three Euro-Skeptic groups account for just 26 of the 378 reports to date, or less than 7 percent. The radical Euro-Skeptics from the ENF have yet to prepare a single report, whereas the moderates of the ECR have sometimes even been given responsibility for politically sensitive questions, such as the exchange of passenger name records with the United States. A comparable pattern can be found in appointments of committee chairs. They are appointed by their committees, with political agreements ensuring that each group receives posts on a proportionate basis. Yet the ECR has one chair fewer than the smaller ALDE group, while the main-stream parties have declined to grant the EFDD and ENF a single chair or deputy chair – in clear contravention of the Parliament’s informal rules. Overall, the fundamentalist Euro-Skeptics of ENF and EFDD possess little in the way of direct influence in the European Parliament, while the moderate ECR is at least partially integrated and participates more actively. Nonetheless, the large presence of Euro-Skeptics certainly does affect the work of the European Parliament. Firstly, despite their internal divisions they force the main-stream groups to form a grand coalition because – unlike in the previous legislative period – there is no centre-left or centre-right majority. As a result, the EPP and S&D now vote together more than 75 percent of the time. While there is no formal coalition agreement, cooperation between the two main groups has intensified significantly since they jointly elected Jean-Claude Juncker as President of the Commission. For the European public, that means that the mainstream parties in the European Parliament often appear indistinguishable, even where considerable differences do actually exist on questions such as migration and economic policy. Secondly, the Euro-Skeptics exploit their presence in the European Parliament for publicity and to gain legitimacy on the national stage. Group status is crucial, granting access to material and immaterial resources, such as staff or the parliamentary stage for speeches. The heterogeneity is advantageous here, with each group receiving its own speaking time. Euro-Skeptics are consequently especially strongly represented in high-profile debates. This has con-sequences for the working atmosphere in Parliament, where the fundamental tenets of European integration are now called into question in almost every debate. How strongly the Euro-Skeptics can profit from their presence in the European Parliament depends, however, on how they succeed in exploiting it in the media. Some of these parties have nominated less prominent members for the European elections, who, once elected, largely disappeared from national media; this applies for example to “The Finns”, the Danish People’s Party and the FPÖ. The Front National and UKIP, by contrast, are represented in the European Parliament by their leaders Marine Le Pen and Nigel Farage – figures who already enjoy enormous media attention. Farage disseminates his parliamentary speeches widely on the internet, while Marine Le Pen used the additional legitimacy generated by her European election win to boost her media presence in France. Building on their successes in the 2014 European elections, Euro-Skeptic have also made further gains at the national level, although to varying degrees. Since then there have been sixteen national parliamentary elections in the EU’s member states. In five of them Euro-Skeptics played no significant role (Belgium, Croatia, Ire-land, Portugal, Spain) and in four others they stagnated or lost seats (Bulgaria, Fin-land, Greece twice). But in seven they were able to make sometimes considerable in-roads (Denmark, Estonia, Latvia, Poland, Slovakia, Sweden and the United Kingdom). Especially in these latter cases, Euro-Skeptic parties have also actively influenced the composition of governing coalitions; they are now involved in the formation of national government in seven member-states. This represents a new quality of challenge for cooperation within the EU. Al-though in the past there were sometimes governments that took a critical stance towards European integration, the Union had always been able to build on a per-missive consensus, at least among the national elites. Seven states now represent a significant force, including the United Kingdom and Poland as two of the largest member-states. Factoring in left-wing governments that reject the fundamental economic policy priorities of the Eurozone/EU (Greece, Portugal, potentially Spain), one-third of the EU is already accounted for. Beyond this there is also a grey zone of governments composed of parties that nominally belong to pro-European mainstream groups but in fact pursue increasingly Euro-Skeptic policies, like Hungary under Prime Minister Viktor Orban (Fidesz/EPP). The overview highlights three aspects. Firstly, participation in government is largely restricted to the more moderate Euro-Skeptics of the ECR. From the fundamentalist anti-EU forces of the EFDD, only the Lithuanian Order and Justice and the Slovak National Party are involved in coalitions, both as junior partner, whereas two parties from the ECR enjoy absolute majorities. This is above all because the ECR par-ties tend to belong more to the mainstream in their respective countries or be accepted by the established parties. None of the members of the ENF are involved in national government. Secondly, the rise of the Euro-Skeptic parties is not limited to a particular set of EU countries. If the gains of the – generally more fundamentalist – Euro-Skeptic parties in regional elections in France (Front National), Austria (FPÖ), Germany (AfD) and the Netherlands (PVV) are included, their successes are distributed throughout the Union, including its founding members. The only exception, paradoxically, are the southern crisis states of the Eurozone, where voters have gravitated more towards left-wing populists, but not strictly Euro-Skeptic par-ties like Syriza and Podemos. Thirdly, there are differences regarding the type of participation in government formation, and thus the political influence of the Euro-Skeptic forces. Despite being the second-largest party in parliament, the Danish People’s Party decided only to tolerate a minority conservative-liberal government, and therefore has no ministers who participate directly in EU Council meetings. The Euro-Skeptic parties in Finland, Latvia, Lithuania and Slovakia are coalition partners of mainstream parties. Of these, only “The Finns” control ministries of outstanding relevance to the European Union (foreign affairs, defence, justice). The Polish PiS and the British Conservatives govern alone, are in full control of government policy and thus represent their country in all matters in the European Council and the Council of the EU. As outlined above, the Euro-Skeptic parties in the European Parliament cannot block legislation on their own. That option is, however, open to them where they are represented in the Council of the EU as members of their national governments. Although the seven named governments cannot on their own muster a blocking minority in qualified majority voting in the Council, many important decisions in the Council are made by consensus, and the Union’s central organ, the European Council, almost always makes its decisions unanimously. Here every national government possesses a veto. In practice, however, there are so far no signs of a blockading policy at the European level. Instead, governments containing Euro-Skeptic parties also participate in normal negotiations and compromise-seeking at all levels in the Council. An analysis of public votes in the Council by national governments containing or tolerated by Euro-Skeptic parties shows that the representatives from Lithuania, Latvia, and Poland have never voted against a legal act, in some cases in more than eighty votes. Denmark and Finland abstained once and twice respectively. Most governments containing Euro-Skeptic parties even went along with highly controversial decisions such as the relocation of 160,000 refugees – while certain governments comprising mainstream parties vehemently oppose it and rail against “orders from Brussels”. The only partial exception from the trend is the British government, which has already voted against three legal acts since May 2015, and abstained on another four. But out of forty-two votes, even that is still far from a blockade. Nor is Euro-Skeptic block-building yet discernible at the European level. In central questions of European policy, such as the refugee crisis, economic and monetary policy, or the British question, existing networks like the Visegrád Group or the close ties between Baltic and Scandinavian countries remain the decisive formats, even for governments with Euro-Skeptic parties. In comparison to the EPP, S&D and ALDE groups, cooperation in the ECR, for example in advance of meetings of the European Council, has been very weak to date. The strongest signs of block-building are in fact found among the left-leaning governments of Greece, Portugal and potentially Spain, with their course against austerity policy in the Eurozone. However, as long as parties like Syriza and Podemos maintain their goal of reforming economic policy within the Eurozone framework, there is no over-lap with the fundamentally Euro-Skeptic parties of the EFDD or the ENF. That said, the governments containing Euro-Skeptic parties have not completely knuckled down to the consensus. Having Euro-Skeptic coalition partners can considerably narrow a government’s leeway in talks in Brussels, especially on sensitive issues. During the difficult negotiations with Greece in summer 2015, for example, “The Finns” initially rejected a third programme of financial assistance to Athens, and placed extremely narrow limits on the Finnish government’s negotiating mandate. Although Finland was not the only member-state to regard further aid for Greece with Skepticism, the Finnish government was among those with the smallest leeway after “The Finns” publicly threatened to leave the coalition if the result of the talks was a third Greek rescue package. Nevertheless, in the end the Finnish prime minister agreed to exactly that, and called the bluff of “The Finns”. Faced with the alternative of sacrificing their participation in government, they decided to save the coalition and supported the package unanimously in the national parliament. But “The Finns” continue to categorically reject any deepening of the Eurozone, for example via a joint budget or transfers, as do mainstream par-ties in other member-states. The long-term objective of the moderate Euro-Skeptics is to repatriate powers to the national level and to restrict the European Union to primarily economic integration. Legally, the obstacles to a formal return of powers to the member-states are relatively high. Treaty amendments require the approval of all member-states and national ratification; revoking EU legislation requires at least a qualified majority in the Council and in most cases also the approval of the European Parliament. Both are obstacles that even the growing number of governments containing Euro-Skeptic parties can-not overcome on their own. A purely legalistic perspective falls short, however. The political dynamics in the EU, with two core projects – the euro and Schengen – in crisis at the same time, play into the hands of Euro-Skeptic parties. That applies for example to Denmark, whose government held a referendum in December 2015 on whether the country should convert its categorical opt-out on justice and home affairs into an opt-in on the British model, in order to be able to continue to participate in that policy area (after changes laid out in the Lisbon Treaty came into effect following a five-year transition period). All the mainstream parties argued for the opt-in, while the Danish People’s Party campaigned for the opt-out. In opinion polls the pro-European side initially enjoyed a clear lead, but swayed by the refugee crisis the Danes eventually followed the People’s Party. This leaves Denmark de facto excluded from central aspects of EU cooperation in justice and home affairs, such as Europol. British Prime Minister David Cameron largely succeeded in winning his demands for changes to strengthen the national level. When Cameron first outlined his goals in January 2013 he was still alone in the EU. Now, in order to keep the United Kingdom in the Union, the other member-states have granted the UK concessions including exemption from the “ever-closer Union” and an “emergency brake” on benefits for workers from EU countries. More fundamentally, there is growing substantive support for the British demands, too. The new Danish government gave its clear backing to Cameron, and the Polish PiS government also supports his line – apart from the demand to deny benefits, which targets Polish migrant workers. Cameron hopes that these concessions will convince the British electorate to remain in the EU; a vote to leave would likely strengthen fundamentalist Euro-Skeptics in other member-states. There are specific, separate reasons behind the successful renationalisation moves in the UK and Denmark. Yet it is no coincidence that both cases involve referendums. Plebiscites are especially attractive to Euro-Skeptics because they enable a mobilisation beyond the established parties, and create ideal conditions for a fight against “the Brussels elites” that can be used to advance an agenda of renationalisation against the EU consensus. The Greek referendum of summer 2015 highlights the pitfalls of this strategy. Although the population backed the Syriza government’s “no” to the reforms demanded by Brussels, in the end the EU partners pushed through their reforms by threatening to force Greece out of the Eurozone. This upheld the Eurozone’s policies despite the referendum, but further damaged the EU’s democratic credentials. Where the EU lacks such leverage, referendums represent a powerful and now proven means of asserting national positions vis-à-vis the EU. That was the motivation behind Hungarian Prime Minister Orban’s February 2016 announcement of a referendum on the EU’s refugee relocation quotas. Here Orban is seeking popular support against what are actually legally binding EU decisions, in the interests of strengthening Hungarian sovereignty. One of the greatest challenges to the Union’s already frayed cohesion arises when national governments come into conflict with its fundamental values. The treatment of Poland’s government is a textbook demonstration of how the EU, despite its emphasis on shared values, has yet to find a functioning mechanism to apply when member-states violate them. Immediately after taking office, the Polish government – with an absolute majority in parliament and the support of the President, who is also a member of PiS – pushed through a series of controversial reforms. One of the objectives was to massively tighten political control over the constitutional court and the public media. This challenge to judicial and media independence clearly contradicts fundamental European values. In January 2016 the Commission responded by activating the rule of law mechanism. Introduced following negative experiences with Orban-governed Hungary, the mechanism represents a preliminary to sanctions that the EU can in principle apply in the event of a grave violation by one of its members. To date, however, the trajectory in Poland mirrors that previously seen in Hungary. On the one hand, the process does the targeted government more good than harm domestically, because it appears to confirm the Euro-Skeptics’ rhetoric against the Brussels elites. On the other, the threat of sanctions lacks credibility, because it would ultimately require a unanimous decision by the other member-states. Such a scenario is now politically virtually impossible, because Poland would be sup-ported by governments with ECR participation and by Budapest. For the moment, government participation by Euro-Skeptics is largely restricted to ECR parties. But the Polish example demonstrates that the Union would have no answer if fundamentalist Euro-Skeptics who radically reject the community’s values – like the Front National – were to form national governments. In view of the participation of Euro-Skeptics in the governments of seven member-states, it is time to accept that the erosion of the consensus over European integration has reached the political elites. In this situation, the EU and national policy-makers should make an objective assessment. Firstly, analysis of the EU’s decision-making process shows that Euro-Skeptic parties are unwilling or unable to pursue a hard blockade policy – neither indirectly through the Parliament nor directly through the Council. Moreover, internal differences have prevented them from forming a cohesive Euro-Skeptic block in the European Parliament or the Council. The rise of Euro-Skeptic parties is a symptom rather than the source of the Union’s functional deficits. Secondly, Euro-Skepticism is not only a position of the political extremes; to treat it as such and marginalise it in the European Parliament would in the longer term merely strengthen the Euro-Skeptics’ argument that Brussels is going over the heads of the citizens. Additionally, the de facto grand coalition in the Parliament ensures that the positions of the mainstream parties are almost indistinguishable. Here a much stronger differentiation is required in the political debate with Euro-Skeptic parties. Extreme right-wing parties like the Front National are becoming socially acceptable if they are the only forces offering alternatives to established EU policies. And the EU would have no answer if such parties joined national governments. Thirdly, it must be accepted that there is no longer a majority for a further deepening of EU integration in a significant number of member states. Although governments including Euro-Skeptic parties have transpired to be largely constructive in regular votes in the Council, they wield their full blocking potential when it comes to further integration steps, in particular through strategic referendums. With this phenomenon extending deep into the Euro-zone, differentiated integration – which was still a possibility in the euro crisis – alone is not an option. Instead the EU’s political leaders need to resolve the current challenges on the basis of the existing level of integration, and in the process integrate the moderate Euro-Skeptics with convincing solutions.